The Honours or Master’s specialisation has been designed to locate current concerns and topical interests in justice and transformation in the more general perspectives of normative theory and comparative studies. It is inspired by the new directions in writing, research and teaching generated by the South African TRC-process but not confined to these. Instead, it links these new research interests and current debates in the area of transitional justice (including human rights law, conflict resolution and peace- building, and social justice in transformation) with the more lasting intellectual perspectives provided by a thorough grounding in relevant academic disciplines. Faculty admission requirements as set out under Rules FH3 and FM3 apply. At Honours level: a first degree majoring with an upper 2nd or close approximation. At Master’s level: a good Honours degree or its equivalent. Transitional Justice: Courses in the area of Transitional Justice aim to provide a theoretical grounding and comparative understanding of the interdisciplinary field of Transitional Justice at the intersection of human rights discourses, democratic transitions and post-conflict reconciliation. Human Rights Law: Courses in the area of Human Rights Law aims to ground the professional and specialist studies in law in a broader theoretical and comparative understanding of the historical and political contexts in which Human Rights Law functions. Conflict Resolution: Courses in Conflict Resolution aim to provide a comparative understanding and practice orientated introduction to current approaches to peace operations and post-conflict reconciliation in the African context. Social Justice in Transformations: Courses in Social Justice in Transformation are designed to combine a focus on issues of social justice related to poverty and development with the combating of legacies of racism and redressing racial, gender and social inequalities within more general normative and theoretical perspectives. Some of the areas of concentration provide for Internships, which may be substituted for one of the elective options (but not for the core courses). Honours students are required to complete taught courses (min 96 credits) as well as a research essay/project (30 credits). One of the courses may be replaced with an Internship. One course from List A (not applicable if both core courses above are selected). The remaining course(s) to be selected from List B or the internship option to a total of 96 credits for courses, subject to approval of the Convener. At Honours level relevant research methods requirements are integrated as part of POL4007H Research Essay/Project. Master’s students are required to complete a minor dissertation (96 credits) and taught courses (minimum 96 credits) of which no more than two may be at HEQSF level 8. Internship: A part-time internship with a human rights or other approved NGO may be substituted as the equivalent of one of the elective courses (but not for a core course). Students may select electives from list B or other electives appropriate to their programme and research interests, subject to approval by the Convener. The Social Development specialisation prepares students for leadership, professional competency and research in the field of Social Development, Development Policy and Development Planning and Management. It highlights the links between national development processes and international systems of economic global governance and management. Probation and Correctional Practice specialisation: a Bachelor’s degree with a major in a cognate field; registration as a social worker with the South African Council for Social Service Professions. Social Development and Social Policy and Management specialisations: a Bachelor’s degree with a major in a cognate field; preference will be given to candidates with appropriate work experience. 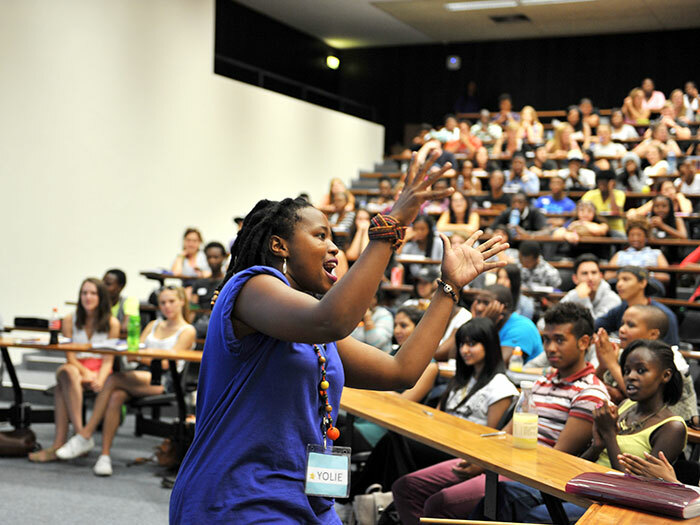 Clinical Social Work specialisation: a Bachelor’s degree in Social Work with a major in Psychology; registration as a social worker with the South African Council for Social Service Professions. Preference will be given to candidates with 2 or more year’s generic Social Work experience. The relevant UCT Honours level degree or equivalent. The Social Policy and Management specialisation aims to equip persons managing social welfare, community and other social service organisations in both the public and private sectors with knowledge and skills in social policy and management. Acceptance is by selection on the recommendation of the Course Co-ordinator and the Head of Department. This specialisation prepares students for entry primarily into the professional development community. This community straddles many spheres including community and non-governmental organisations, research organisations, agencies at various levels of government, media organisations and possibly corporate social responsibility offices. It is envisaged that MPhil (Development Studies) graduates will eventually take leading positions in this community; developing and disseminating knowledge about those sectors of society worst affected by socio-economic inequity, and devising strategies for them to gain access to resources and grow their capacity to optimise these resources. Faculty requirements are set out under Rules FH3 and FM3. Graduates with any majors or of specialisations within the social sciences. Students from other specialisations and degrees may be admitted at the discretion of the Convener and the Postgraduate Committee of Sociology. Any student may be required to take appropriate supplementary access courses. Selection into this specialisation is not automatic and is dependent on good second-class passes at third year level. Students are admitted either to the Honours or the MPhil; admission to the Honours does not imply automatic admission to the MPhil (i.e. at least 68%). OR: The remaining courses are to be selected from the electives offered in the department or, with the approval of the Convener and the relevant host department, in cognate departments of the University. Master’s students are required to complete a minor dissertation (96 NQF credits) and taught courses with a combined total of 96 NQF credits of which no more than two can be at HEQSF level 8 (4000 level). *Note: Other approved quantitative research methods courses can only be taken under exceptional circumstances with the approval of the Programme Convenor for which a Senate Concession is required. The PPE specialisation is an interdisciplinary specialisation incorporating courses and research in the three disciplines of Philosophy, Politics and Economics. Students entering the specialisation must identify their primary disciplinary focus in order to be placed in a home department. While all PPE students will complete at least one course in each of the disciplines, their research (Honours essay/project or Master’s minor dissertation) will be based in their home department, with registration and supervision complying with that department’s requirements. Acceptance to the specialisation is at the discretion of the Convener and requires the recommendation of the Head of the Department in the home department selected by the applicant. For Master’s: An overall average result of not less than 65% must be achieved at Honours level. For Honours: 68% average for at least two senior Politics courses. See Political Studies section in the handbook for further details of criteria taken into consideration in admission. For Master’s: An overall average result of not less than 65% must be achieved at Honours level, plus a strong performance in the Honours research component. For Honours: 70% average for the Philosophy major. Students who do not quite achieve this mark may be admitted to the specialisation at the discretion of the Head of Department. For Master’s: An overall average result of not less than 70% must be achieved at Honours level, plus a strong performance in the Honours research component. Students who do not quite achieve this mark may be admitted to the specialisation at the discretion of the Head of Department. Five courses: one course each in Philosophy, Politics and Economics to be selected from the elective options listed below, one elective from home department (ECO4006F OR ECO4007F OR ECO4016F if Economics is your home department) AND PHI4024F/S PPE Texts or elective (12 NQF credits, HEQSF Level 8). Four courses: one course each in Philosophy, Politics and Economics to be selected from the elective options listed below AND the remaining course in the chosen home department. The Master's qualification offered by the School can be pursued either by coursework or by research only. This is one of nine (9) possible areas of M.Ed. specialisation. (a) Faculty rules FM3 and University General Rules apply. (b) An average mark of 65% or more at the Honours level.